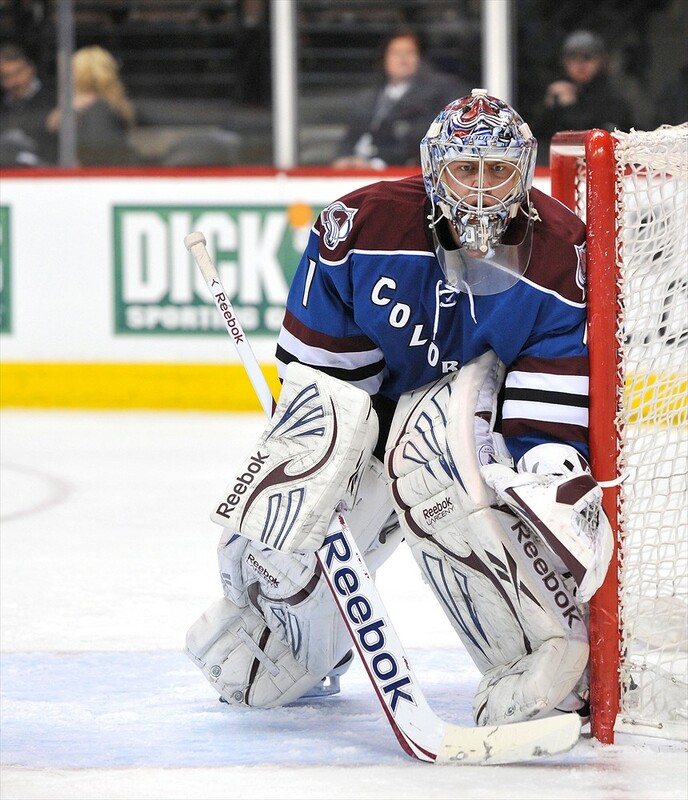 Many were quick to write off the Colorado Avalanche’s season before the puck had so much as dropped on it. Count myself among them. Reactions varied, but were generally drawn upon the side of the interpreting persons stance on analytics and the role they play in hockey. For those opposed to these #fancy new numbers and their application to hockey, it was quickly brushed aside as nerds gibberish. The shot-metric crowd acquiesced to the data from last season and it’s predictive value as a forbearance of Avalanche misfortune in this season. On the one hand, the Avs possess a stable of young forwards that are just now entering their prime years and a few that haven’t even encroached upon their own ceilings. Looking at a group of forwards that consist of Ryan O’Reilly, Matt Duchene and Nathan MacKinnon, how could anyone not be impressed? All of these players falling under the watchful eye of Jack Adams Award recipient, Patrick Roy, no less. There is truth in this. The talent of the Avs elite forwards and special teams should be enough to overcome disparaging shot totals, on the odd occasion. The firm hand of predictive data presents a much less favorable case for the Avs entering this season. There are multiple areas in which the Avs greatly exceeded their expected outcomes. The conversation begins with their unflattering possession numbers, which ranked in the bottom-third of the league. It doesn’t end there, though. The Avs had an on-ice sh% that can best be described as unsustainable; that it lasted the entire season for them in 2013-14 is miraculous. There is also the matter of their equally sky-high on-ice sv%. The two combine for the league’s third-highest PDO, which in short is a luck index. What to Make of This Start? None of what I’ve mentioned thus far is news though. The Avs should regress. Even the data opposed analyst could agree as much. Their division is too tough and their success last year wasn’t in any way expected. It only seems reasonable that a lot went right for the Avs. Their off-season wasn’t so good, while everyone else in their division showed signs of improvement. Not a good recipe for similar success. Two games into the season, stat-heads were all too eager to proclaim victory over this matter. The Avs had lost in brutal fashion twice to the divisional rival Minnesota Wild, and did so in the ugliest of fashions. Colorado’s shots against/60mins was the second worst in the league, at an astonishing 40.53/60 mins. Their sh% had regressed, all the way to zero. Their sv% too showed signs of tilting towards the mean at a more reasonable .913; similar to numbers Semyon Varlamov had previously posted. Sample size, though. Sample size is always key. Their shooting percentage is already regressing towards a more positive mean for the Avs, as evidenced by their 2-1 victory over the Boston Bruins. They’ve already turned towards a more approachable 6.5% shooting. Atrophying possession is something the Avs still need to work on. They entered today’s game with a sub-40% Fenwick. Today’s 48% Fenwick against the Bruins is, again, a step in the right direction, but hardly something to write home about. It’s too early to declare the sky as falling on the Avalanche’s season. I think it eventually will, but it won’t be accompanied by an on-ice sh% lower than 7% and a sub-40% Fenwick. The Avs weren’t as good as last year’s record indicates, but their three games thus far into the 2014-15 campaign paint no better a picture of their team’s capabilities. Until we reach about the quarter mark of this season, all judgments should be reserved on this and many other clubs. If the Avs are to go down in a fashion similar to that predicted by myself, and other stats-heads, it won’t be in such a brutal fashion. At most, their sh% should regress about 1% backwards. Their sv% could see a considerably larger hit, but it’s not a guarantee. Those two factors alone can derail a season. The numbers seem small enough, but over 82-games they could have a massive impact. This is reasonable. Worry not, Colorado faithful. The numbers from last season aren’t wrong, but the ones arising from the early part of this campaign are no-more telling.